The main advantage that this type of material offers is the ability to provide a safe environment for high-traffic areas or locations that children are expected to frequent. As opposed to tile, ceramic or parquet, rubber is less slippery and should one happen to fall, the chances of injury are greatly reduced. A second benefit that this covering offers is the fact that it is easy to clean. Soap and water can be used without damage to the rubber. 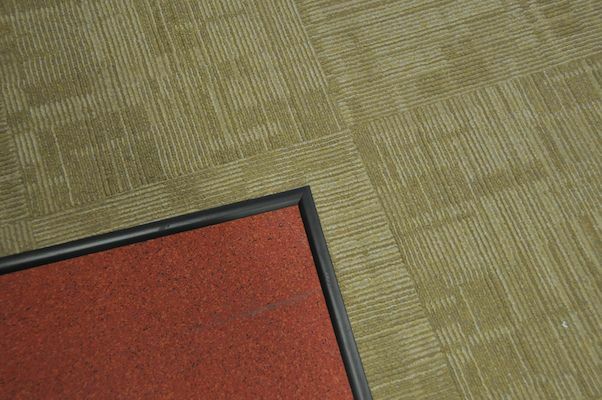 More importantly, the non-porous surface prevents the buildup of bacteria and germs that carpets would allow. This is one of the reasons that rubber is used in wrestling arenas and other areas prone to skin-to-surface contact. Rubber flooring is also much more cost effective than many other materials. It is markedly cheaper than many laminate products or vinyl that would cover a similar area and as rubber is extremely durable, these floors can be expected to last quite a long time. Finally, installation is easy and requires little foreknowledge. The rubber itself can be cut with simple hand tools. As this material is extremely flexible, it can be placed upon uneven surfaces or areas that may be prone to warping. This is in direct contrast to tiles or hardwood floors. A safe environment for children. A cost effective alternative to other types of floors. Easy installation. on uneven surfaces. There are a wide variety of options when deciding to install rubber flooring. The first consideration must be where the rubber will be installed. Although a garage or basement may be the most common location, a family that lives with an elderly individual may very well choose to install this system into a bathroom to prevent slips and falls. Interior rubber floors tend to be more visually appealing and will come in a variety of colours and finishes. Exterior models or those intended to be used in a garage will offer higher durability, interlocking segments and even diamond grip to mitigate injuries when working around oil and other lubricants. A second concern is how waterproof the floors need to be. This is obviously a factor when opting for outdoor uses. Some types of flooring may be semi-porous and allow for water absorption while others are impermeable and will contain a vinyl coating on the surface. For extremely high traffic areas such as stairwells or hallways, rubber floors can be purchased that have a covering of anti-slip granules permanently attached. Even glow-in-the-dark additives are available for locations that may pose a danger of injury during evening hours. The location where the matting will be installed. The thickness and finish of the product. The need for any anti-slip materials.